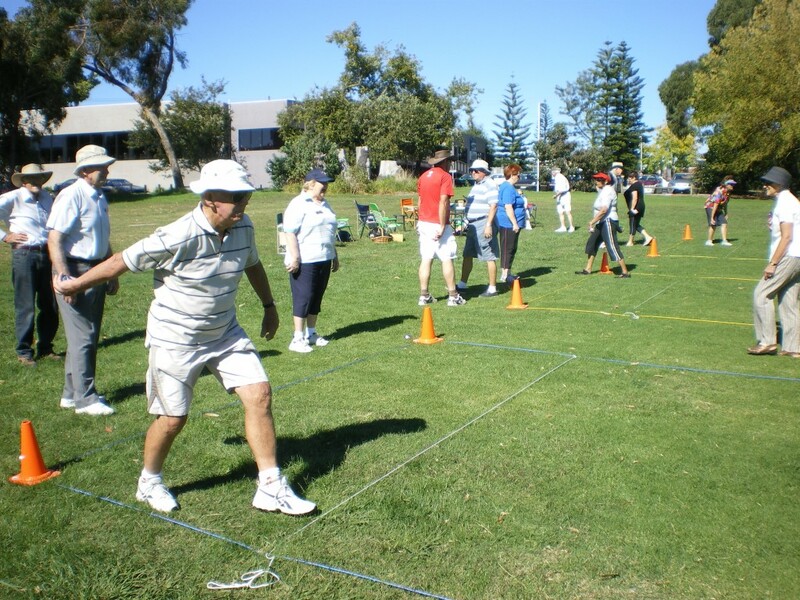 Bocce – Ringwood Clocktower Probus Club Inc.
We play Bocce every third Tuesday of the month starting at 10.30 am and playing till about 1.30pm. We play at the area next to the Ringwood Club on the corner of Oban Road and Maroondah Highway.We call it ‘Probus Park’. There is plenty of parking, and public toilets are available. You need to bring a chair, your lunch, a drink, and if it’s hot a hat and sun cream. If you have never played before, we are happy to teach you, but most folk know how to toss a ball. If you don’t have Bocce balls, don’t worry as we have plenty that you can use. We usually stop for lunch around midday for a natter and a drink, and then play another game or two before leaving for home. If you haven’t been before, do come and try it, we have a lot of fun. Bocce is a game that goes back thousands of years, the earliest records show the Egyptians were playing a form of Bocce in 5200 BCE throwing round rocks at a smaller target object, and so it has come though the ages until you see many folk playing the game, at the beach, on special composite pitches set up at clubs. We play on grass, which is cut for us by our local council.